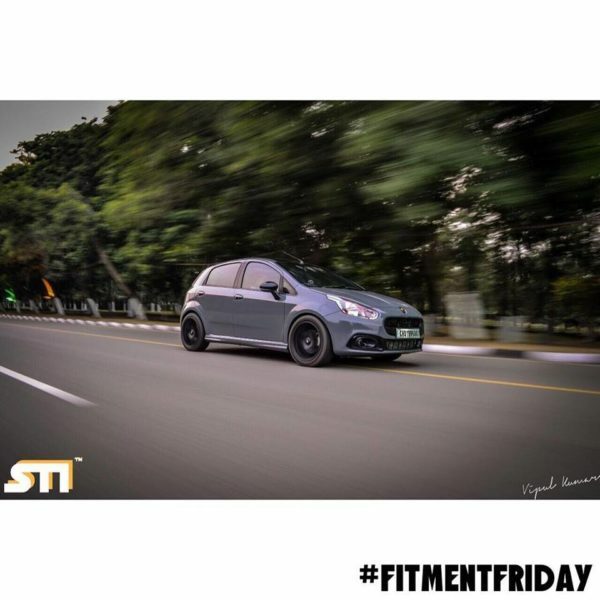 The Polo GT TSI is one sporty little hatchback which is the favourite of many tuners in our country. They may have become a tad bit too much at this moment but hey, we are not complaining. Another car in this segment, which happens to be a bit underrated is the Abarth Punto from Fiat. Just like the Polo, this car is a bonkers version of a very family friendly premium hatchback, the Punto. The car uses a 1368 cc petrol engine which gives the car a power output of 145 bhp, yes you read that right. A maximum torque of 212 Nm is sent to the front wheels via a 5-speed manual transmission. Then again, tuners never find stock numbers enough, they always want more and more. 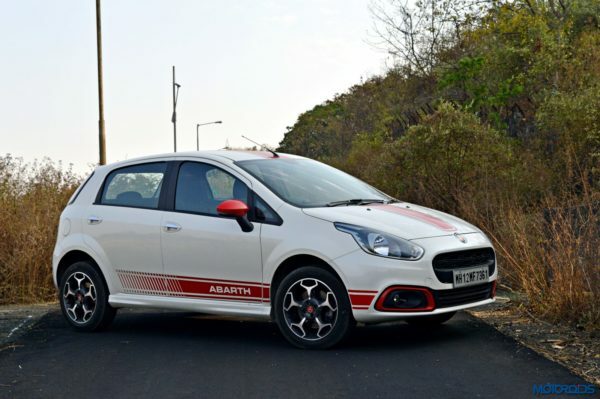 We present you one such example of a tuned Abarth Punto from the state of Chandigarh. To boost the power output, this car has been given a Quantum Performance tune. That’s just the start, helping it breathe better is a Custom 2” stainless steel turboback exhaust with Milltek sports cat, Forge Motorsport blow-off Valve, Forge Motorsport intercooler upgrade and Forge Motorsport intake system. Quite often people think just an exhaust replacement increases your power output, but only pairing it with a proper intake system will give you the most benefit. Below is an image of a stock Abarth Punto for you to see the differences. With the power upgrades out of the way, we can now talk about the dynamic improvements done to the car. Eibach Pro-Kit lowering springs give the car a lower stance, bringing the centre of gravity lower and making the car turn faster around corners. To control the chassis flex around corners, this tuner has also installed a Forge Motorsport chassis brace. Completing the package is a Bonalume short shifter and massive 17-inch rims wrapped in 205/45 section Michelin Rubber. The blacked out wheels go very well with the lovely Nardo Grey wrap job. What do you think about the car? Let us know in the comments below.